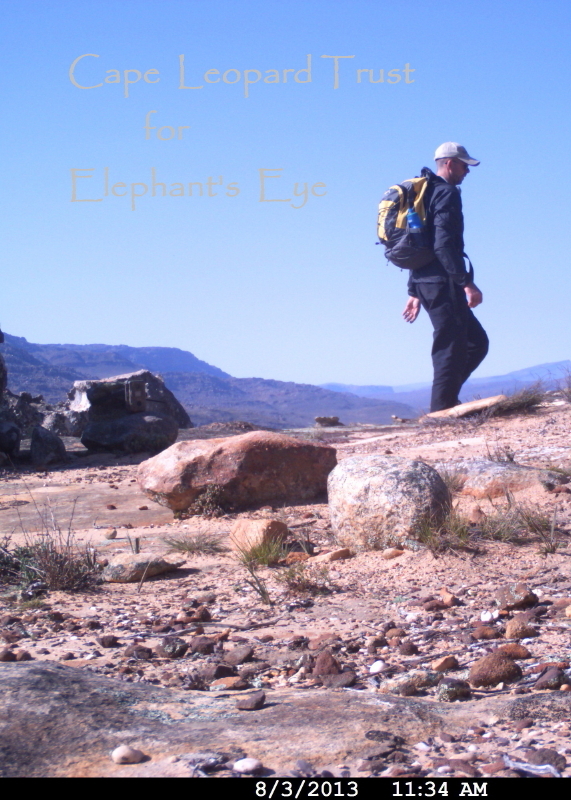 At the end of August as the Western Cape battled thru fierce winter weather, my husband returned to Driehoek. Dr Quinton Martins of the Cape Leopard Trust and Jurg were still hoping to catch the wary Spot and replace the battery in her GPS collar. 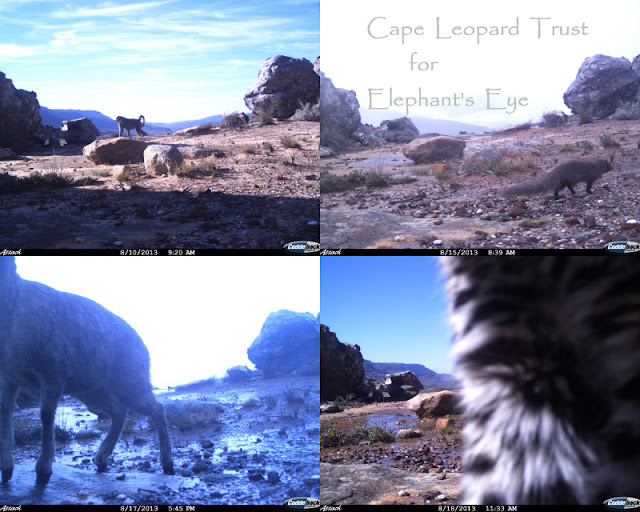 As Jurg travelled over the Nieuwoudt Pass, between the N7 and Algeria Forestry Station, he stopped at the new sign promoting Cape mountain leopard conservation. 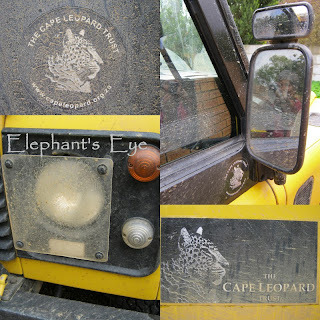 He has been volunteering with the Cape Leopard Trust for two years. Our Land Rover works hard and wears its medals and battle scars with pride. 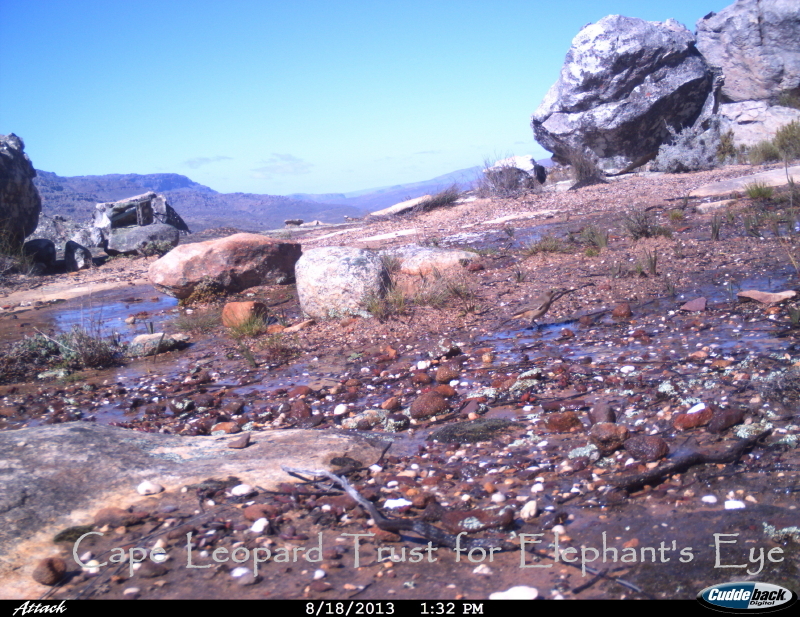 Leopard research in the Cederberg is based around Matjiesrivier (Cape Nature) and Driehoek farm (part of the Cederberg Conservancy). At the guest farm the black pig and white horse are best friends for ever. When the weather plays along Jurg stays in his tent, but this weather sees him in a wood cabin, with a heater! Having set up the camera trap on Mied se Berg (1331 metres high, the camera trap is at about 1200 metres), as he walks away Quinton triggers the first picture. There is some training and experience needed when posing for the camera. The baboon is just so against the skyline framed by the view. Busy mongoose is a prima donna, to the camera, from the camera, left, or right profile, a whisk of tail, nose first? The klipspringer gets too close but showcases his rock climbing hooves. The young leopard still needs a few practice runs. It rained and snowed. Megan Murgatroyd works from Driehoek researching Verreaux’s or Black eagles. 'During the three years I have been here this is the first time I have seen snow down to this level.’ Her chicks were snowed in (photos from the nest camera). Quinton was worried that the rising rivers would trap Jurg on the wrong/mountain side, so they broke off the planned two weeks of intensive trapping. The journey home was on the dirt road to Citrusdal alongside the Olifants River, as the bridge to the N7 was flooded. Closed. At your own risk of being washed away. Spot’s cub is eight months old. Still fluffy. The cub is learning to be independent, but returning to mother until s/he is a year old. Eyes narrowed head down, battling thru miserable winter weather. ‘Looks like a male with those big feet. It’s been freezing up there -one photo was completely whited out with snow’ – Quinton in the August Update for Spot Adopters. But the Western Cape’s mediterranean winter, promises us that the sun will return within days. 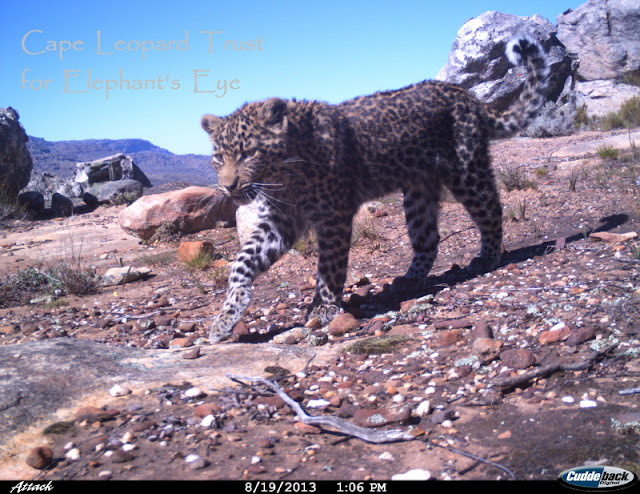 Proving that Cape mountain leopard conservation, with cooperation between the people of the Greater Cederberg Biodiversity Corridor and the CLT, is successful. If you share our passion for the Cape leopards, do join us in supporting the CLT. Maybe more people would adopt a spot if they could use PayPal to pay. Very interesting. I loved seeing the 'caught' photos, and your explanations. I laughed at the thought of them posing for the camera! I'm always surprised when you mention snow, but it's winter and mountainous, so I shouldn't be so surprised. 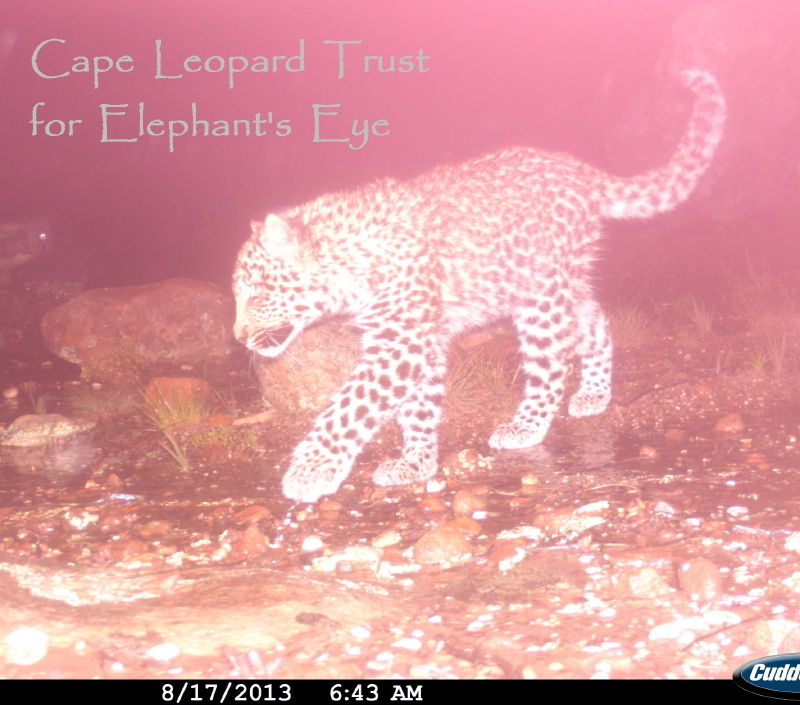 I wish the best for the baby leopard cub. What a beautiful creature..I love the last shot especially. Diana the cub is just adorable...I have enjoyed all the updates I have received from the Trust...it feels good to support this worthy cause. Glad to hear the weather will shift soon too to help with the continued effort. Deeply grateful for your support, Donna. Today is another eyes narrowed, head down against the winter weather day. 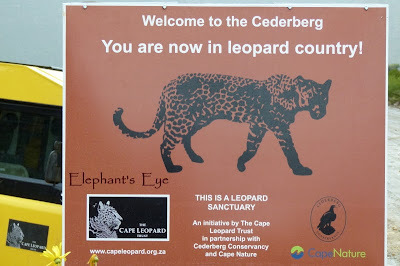 I saw a leopard once, in Botswana. He was sunning himself in the middle of the track. 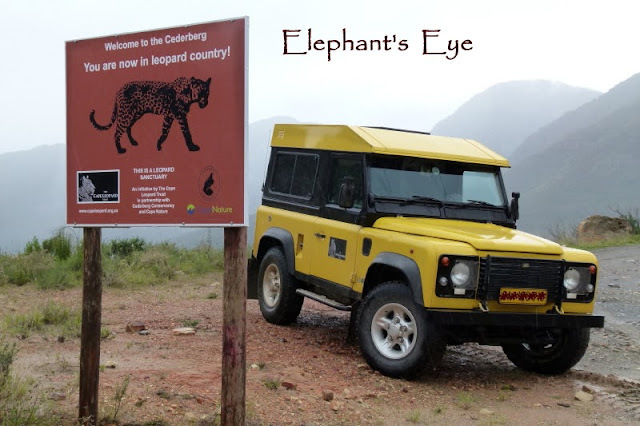 Our guide who had spent his life in the bush had only ever seen two other leopards in his life. Since that day we saw the leopard, and since that safari, I have often thought of the leopard sunning himself so casually, and when disturbed by us he merely stood up and slowly walked away. His behavior showed us he knew the land was his. I will look forward to progress reports on Spot and her cub. How wonderful to be in "leopard country!" -- from inside a vehicle. I love the horse and pig. How incredible to live so close to such a beautiful and wild area. 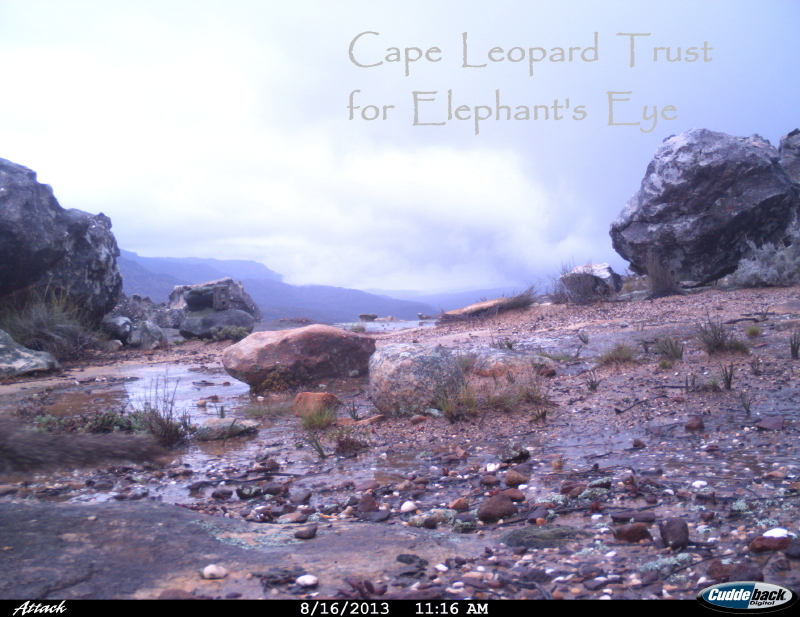 :o) I always love seeing the natural photos caught on wildlife cameras. The cub is such a gorgeous creature. Its very encouraging to see cubs being photographed. Its shows the population is growing. Now just to get all the farmers to stop shooting them. Different attitudes between the Western and Eastern Cape? 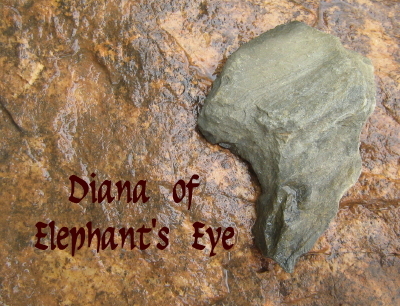 I enjoyed this post, Diana. I feel like I just visited your part of the world, and I liked it! How wonderful that Jurg volunteers with such an important cause and organization. Leopards are incredible animals.